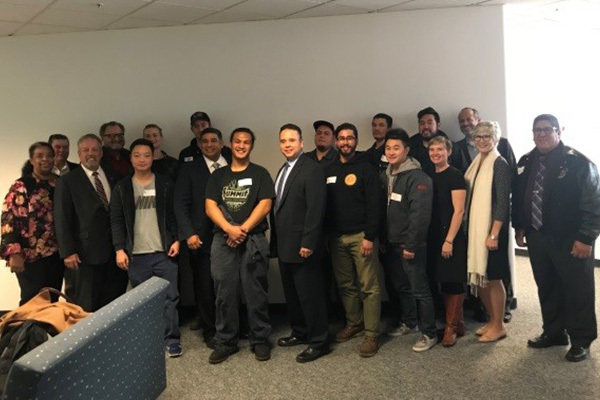 The agreement was signed by Micki Callahan representing the City of San Francisco, Ed Reiskin representing SFMTA, Katie Hobin Porter representing CAT, and Art Gonzalez representing IAM Local 1414. According to the U.S. Department of Labor, apprenticeships have dramatically impacted the lives, careers and opportunities for millions of workers, and more than 150,000 businesses over the last 80 years, from careers in healthcare, energy and IT, to manufacturing, transportation and more. The benefits are substantial – companies that offer apprenticeship programs can diversify their workforce, improve productivity and profitability, standardize training, and reduce turnover. The average journey-level starting wage for apprentices is more than $60,000, and workers will earn an average of $300,000 more over their lifetime than their non-apprentice peers.